박미석, 전지원,(2017).비혼 1인가구의 생활불안 및 사회적 지지가 삶의 질에 미치는 영향.한국가정관리학회지,35(4),25-42. The purpose of this study is to examine daily anxiety and social support related to the quality of life of unmarried single person households in accord to their marital status. 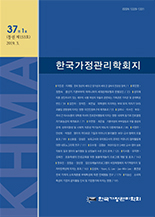 Data were drawn from the raw data of ｢Some Cause of the Psycho social Anxiety in Korea and How to Address Them (2015)｣ by the Korea Institute for Health and Social Affairs. The sample consist of 532 unmarried single person households, who are either never married singles or married but separated, divorced or be reaved singles. The major results are as follows. There is a significant difference among the three groups in the level of daily anxiety, social support, and quality of life. Daily anxiety and social support have different effects on the quality of life among the three groups. As such, unmarried single person households have considerably heterogeneous characteristics. To this extent, the government should have a differentiated welfare policy according to its own respect. The results of this study are expected to upgrade life planning for unmarried single person households and hope to be linked with relevant policies and programs. Alain de Botton. (2004). Status anxiety, Toledo: PantheonBooks. Ann, K. S. (2005). Study on the quality of life and social support of married couple and single households elderly. Journal of the Korea Gerontology Society, 25(1), 1-19. Anti-Corruption & Civil Right Commission, Korea (August 8, 2014). on-line public discussion: single person household. Retrieved from http://www.acrc.go.kr/acrc/board.do?command=searchDetailTotal&method=searchDetailViewInc&menuId=060502&boardNum=46024. Ban, J. H. (2012). Socio-economic characteristics in single- member households and their changes, Monthly Labor Review 85, 55-67 . Beck, A. T., & Emery, G. (1985). Anxiety disorders and phobias: a cognitive perspective, New York: Basic Books.